Infamous Hall of Fame basketball player, African-American activist and all-around blowhard Charles Barkley once released a book titled I may be wrong, but I doubt it. I think I know how he feels. But unlike Barkley, I hope I’m wrong. Just five months ago, the American National Basketball Association (NBA) had the world at its feet. A gripping Finals saw the underdog Dallas Mavericks and its ‘United Nations roster’ of mostly international players, led by 7-foot German Dirk Nowitski, outhustle, out-smart and out-clutch the fascinating but universally loathed Miami Heat of Lebron James. This followed one of the most closely fought, entertaining and unpredictable seasons in memory. The level of talent in the league is at its highest level since the heady days of the early 1990s and, more importantly, the league’s star players have the type of character that resonates with the public. 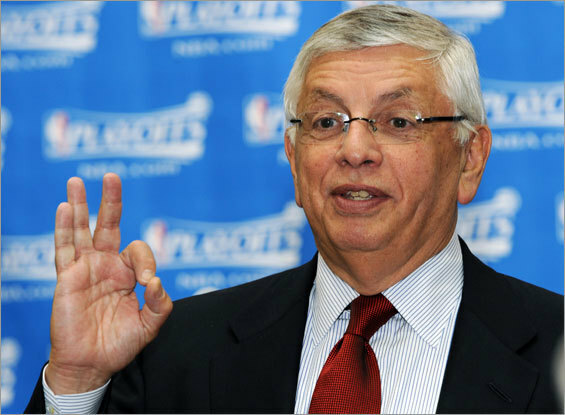 Given all that the NBA has going for it, it’s incomprehensible it’s been forced to delay the start of and potentially cancel the entire 2011/12 season as a result of a prolonged labour dispute with its players. Regardless of the details, we are essentially being held hostage in a Mexican standoff between 30 billionaires (the team owners) and 360 millionaires (the players) over how to carve up the league’s massive revenues between them. It’s difficult to get fired up about who’s right or wrong despite the best efforts of both sides to heap blame on the other. It’s like watching Scrooge McDuck and Flintheart Glomgold undermine each other in the hunt for buried treasure. The greed on display is simply unfathomable and I see both sides as equally culpable and, increasingly, despicable. What does fire me up is that the NBA is my primary form of televised entertainment between November and June and the games will not be starting on 1 November. So I care very much that I don’t know when the season will start or when I will see another NBA game. We stand to miss some of the best basketball anyone has ever played, with players like Lebron James and Chris Paul entering their prime years and greats like Kobe Bryant and Kevin Garnett nearing the end of their careers. Now is not the time to be missing games if you’re a real NBA fan. The real kick to the balls is the monumental apathy of both parties to resolving their dispute. The NBA owners and players have met, by my count, just eight times since February. One of those meetings lasted five minutes. Only once have they met on consecutive days. The latest round of negotiations apparently delivered some “real progress” but was called off a week ago with no timetable for resumption. Judge Judy is rolling in her grave as she reads this. The problem is that the people directly involved – the owners and players – don’t seem to care as much as I do about getting the season started. And this is where I hope I’m wrong. I’m already building a sense of resentment towards everyone associated with the NBA. I’ve unfollowed most of the tweeting NBA players, reporters and columnists and I’ve stopped searching the net for updates on the labour negotiations. I flat out refused an invitation from my brother to attend an exhibition game in Sydney featuring a number of barnstorming NBA players. Perhaps like a jilted lover I’ve been spurned past the point of caring, and I’m not sure I’ll come back. As a teenager and a young bachelor I devoured sports like no one else. I lived and died on the performances of my teams, and factored big games into my weekend calendars. But times are a changin’. I’ve just turned 30. I have a busy job and a career focus, a great relationship with my partner Tania, a house we want to do some work on, a dog, and a seemingly shrinking window of available ‘spare time’ which can be devoted to things like screaming men in shorts on the TV. I fear the NBA is losing me. And I hope I’m wrong. 1. The NBA claims its games are broadcast in 215 countries in 41 languages; an impressive feat given that there are only 196 countries on Earth! Resist American cultural imperialism. Don’t follow their sport. Rolling in her grave? 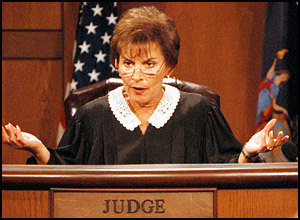 Did you kill Judge Judy? ?